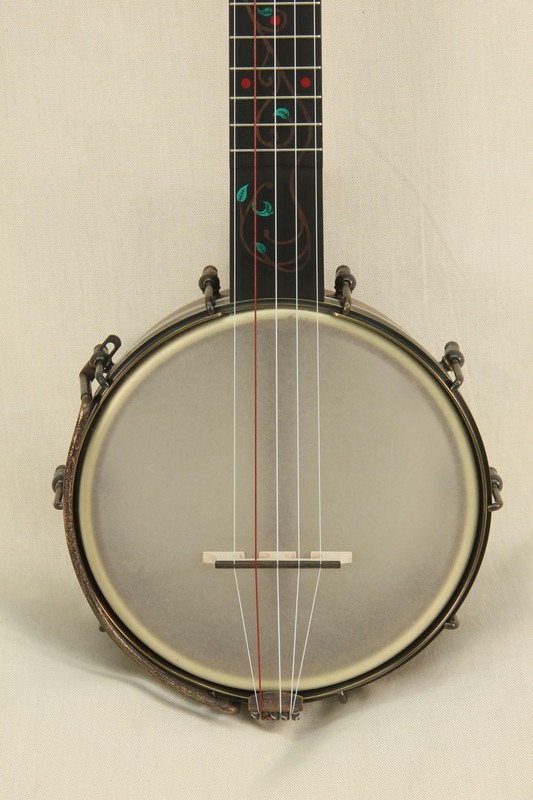 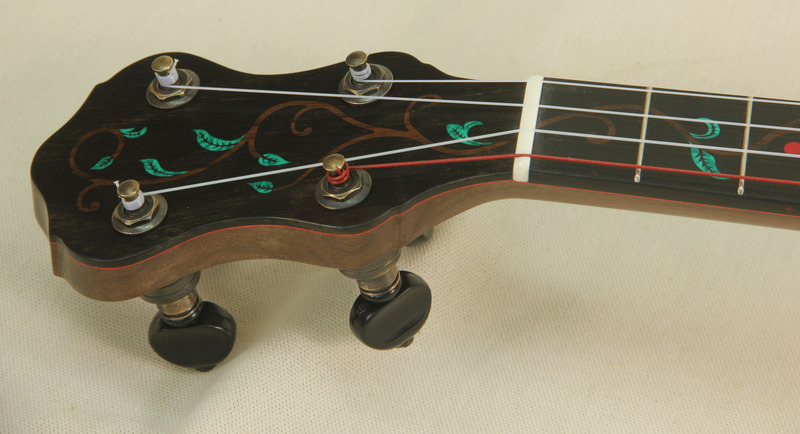 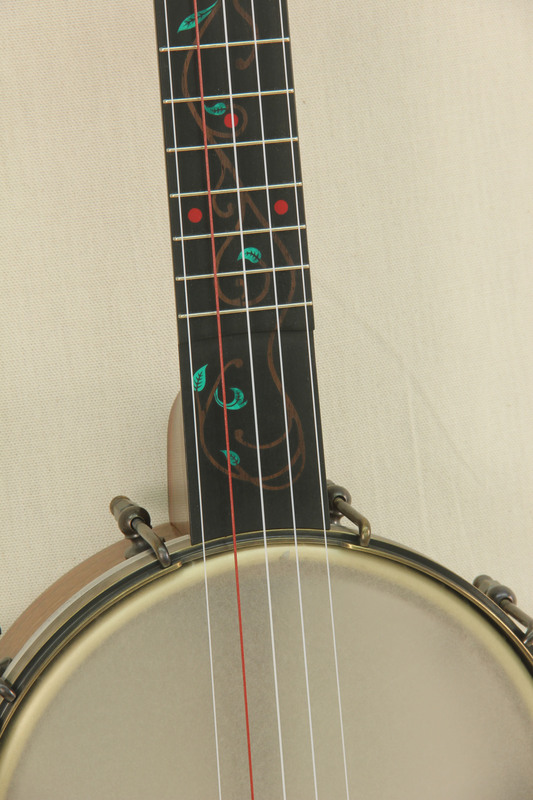 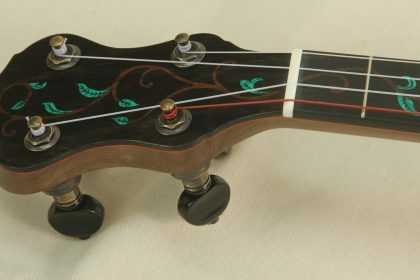 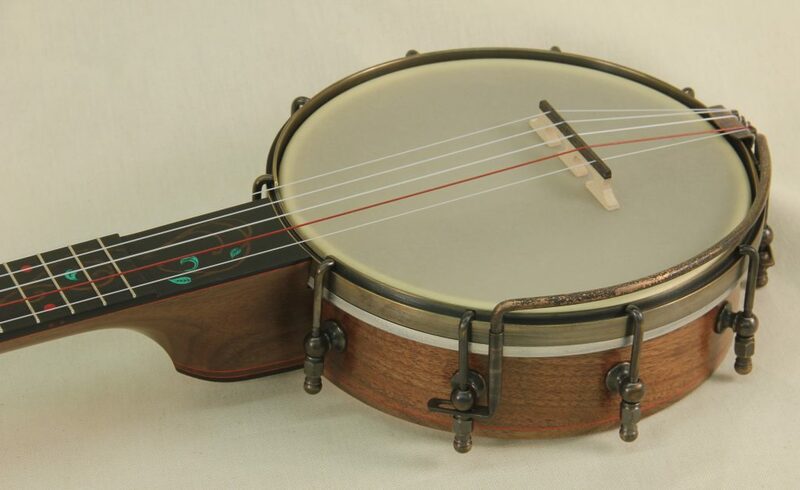 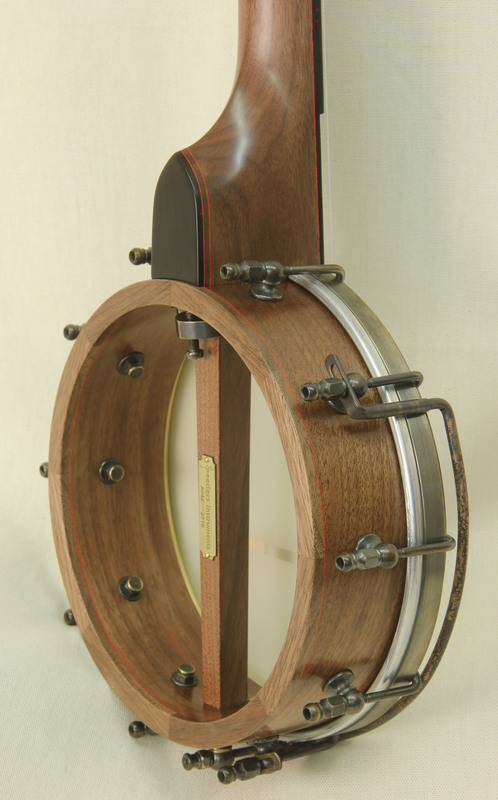 A Walnut Piccolo banjo with a custom vine inlay. 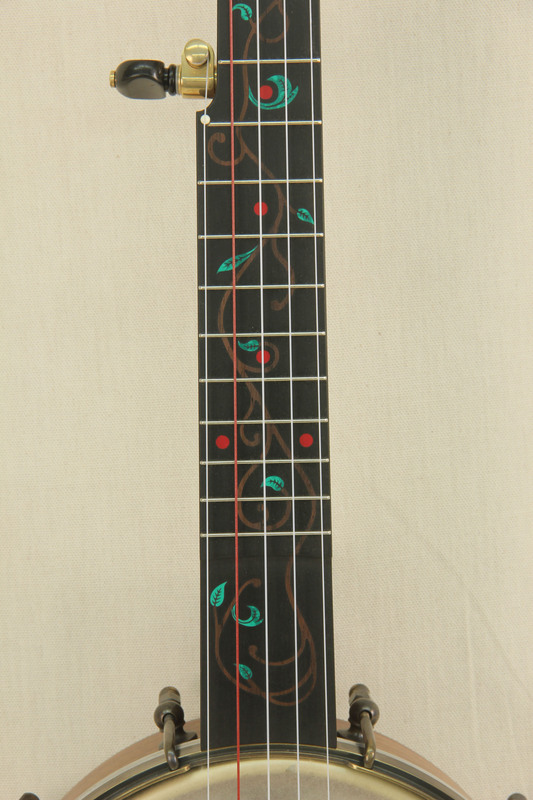 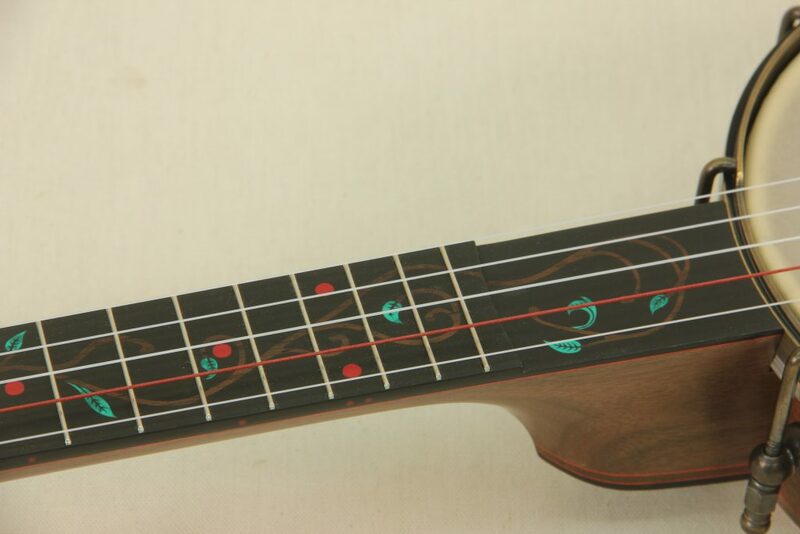 The inlay is made from Rosewood with engraved recon stone leaves. 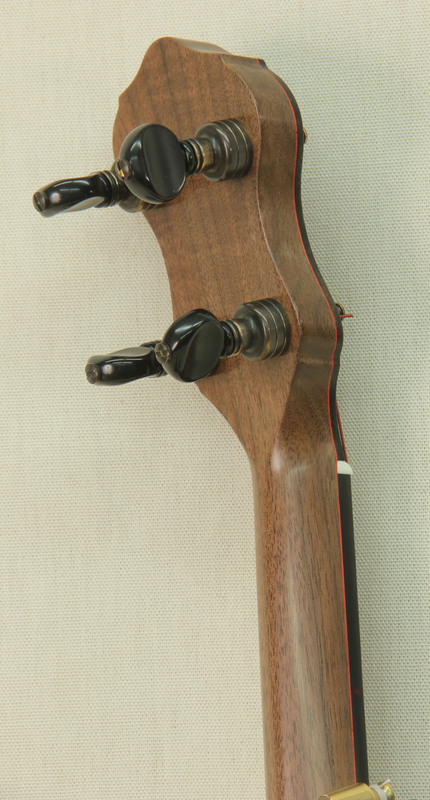 Red veneer details match the recon stone dot inlays.